I do believe there is an affinity between ginger and Christmas. 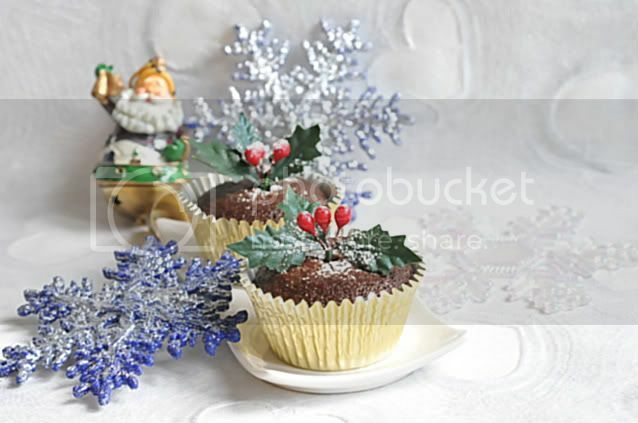 And everyone seems to be baking cookies, cakes and cupcakes with ginger and spices. I guess you can say I'm no different as well as I not only made these gingerbread cupcakes, I baked gingerbread cookies as well. 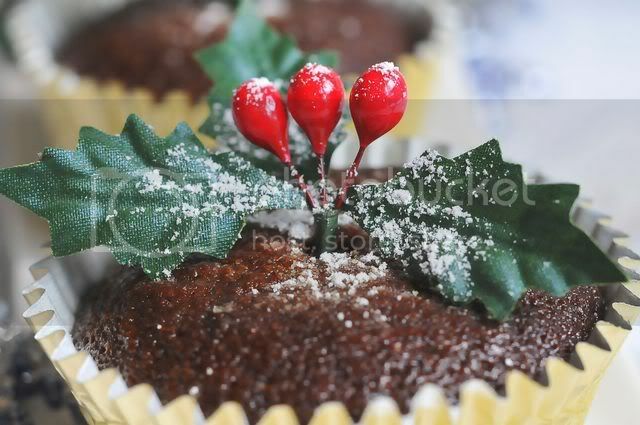 This is originally a cake version but I adapted it for cupcakes as I think it's easier to serve it this way. 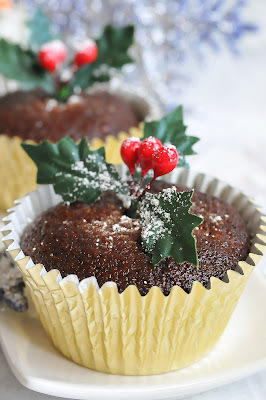 I also baked these gingerbread cupcakes as Christmas presents for friends in addition to the apricot and ginger chutney I had made earlier (recipe in previous post). 2) Whisk flour, baking soda and spices and set aside. If you're using a stand mixer, fit it with the paddle attachment, set on medium, and cream the butter and brown sugar together until smooth, about 3 minutes. Add the eggs in one at a time, beating for 1 minute after each addition. The mixture will look curdled at this stage, but don't worry - it's suppose to look like this. 3) Add the molasses and continue beating until the mixture is smooth. 5) For cake, bake for 40 minutes until the sides start to pull away from the pan. 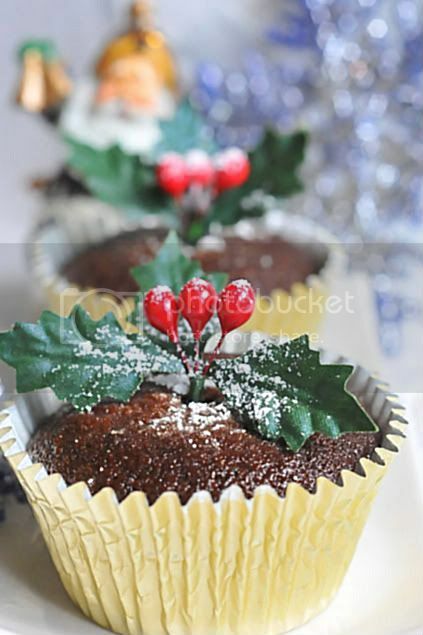 If you are making a cupcake version, bake between 17 - 20 minutes. Check to ensure that your cake is cooked by inserting a skewer into the center. If it comes out clean, it is ready. 6) Cool in the pan on a rack for 10 minutes, then take it out of the pan and cool to room temperature before icing. 1) Melt the chocolate together with the coffee in a double boiler. Once the chocolate is melted, remove it from the heat and stir in the butter one tablespoon at a time. Sift the confectioner's sugar over the mixture and stir it in. Transfer the mixture to a bowl and let it set for 10 minutes. 2) Pour the icing over the center of the cake and spread it to the sides. Let the iced cake sit for 30 minutes before cutting into 9 pieces. Hey Jo! Thanks for that! I will add your link to my blog because I think that what you do is fantastic! Keep it up! Wish you & your family a happy New Year! What a cute Christmas spread :)!